It was a quintessential New England fall afternoon at the acoustically rich First Congregational Church of Old Lyme. Concertgoers enjoyed two seldom heard masterpieces for the rare combination of piano, violin, viola, cello and bass. What a magnificent opening performance to kick off our 27th Season! Many thanks to Andy Baxter for sponsoring Saturday’s concert. 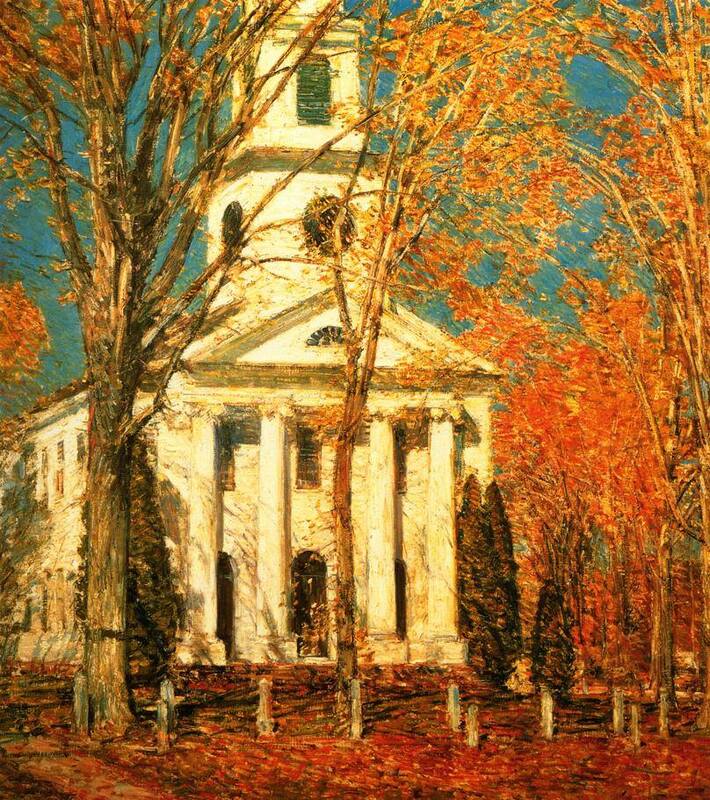 Photo Credit: Church at Old Lyme, oil on canvas, Childe Hassam, 1905. Albright-Knox Art Gallery, Buffalo, New York. Pianist Orion Weiss has performed with the major American orchestras, including the Chicago Symphony, Boston Symphony, Los Angeles Philharmonic, and New York Philharmonic. Bassist Shawn Conley loves playing a variety of musical genres.